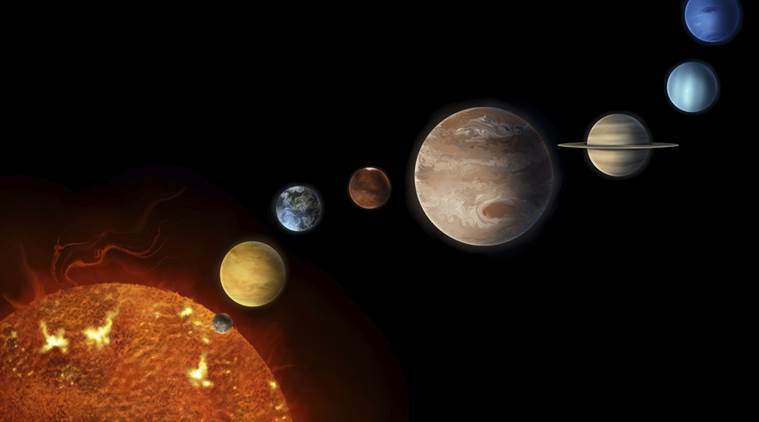 This star theater show features the spectacular solar system. This movie-like simulation was created at WSU with narrations by Prof. Guy Worthey and musical backing tracks. Asteroids, the main planets, and Pluto are the “stars” of the immersive fulldome animation, all placed in their correct orbits using on-the-fly calculations. Explore with us the geography of these alien worlds. Tickets at the door are $5 (cash or check, no credit). Children 6 and under free. Room capacity 60. Directions from Stadium & Main: Turn up Stadium, immediate left at Nevada, immediate left at Washington, turn right on Spokane Street. (“Green” spots are legal to park in after-hours.) The pedestrian bridge is the most convenient entry; come across the bridge, come in the building, then turn right. Twenty paces later, turn left and head down the hall to Sloan 231.